TameFest’s third year of successful celebration! The community came together to celebrate the landscape and heritage of the Tame Valley Wetlands for the third year in a row at TameFest 2017 on Saturday 27th May. 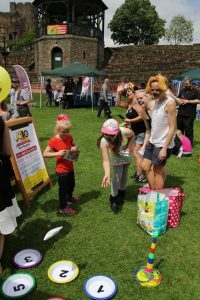 The bank holiday weekend event saw approximately 2,500 people at Tamworth Castle Grounds, enjoying the fun and friendly atmosphere. 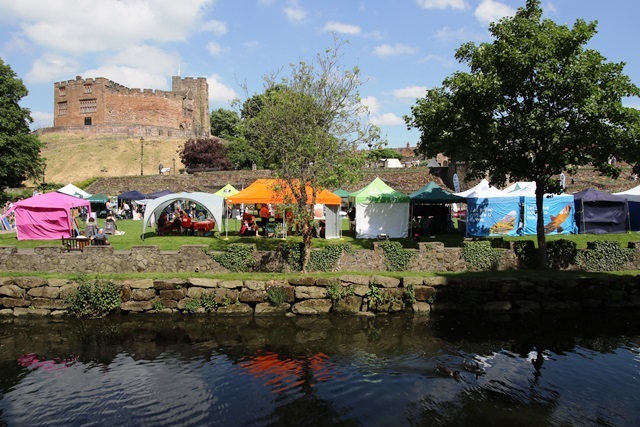 Hosted by the Tame Valley Wetlands Landscape Partnership Scheme (TVWLPS), TameFest provided the community with a taster of what the area has to offer through a variety of stalls, entertainment and activities. This included wattle & daub making, willow swords crafting, wildlife games and close encounters with hedgehogs. Rita Gries, Tame Valley Wetlands LPS Community & Events Officer said “We are really pleased with the event and the feedback we received. 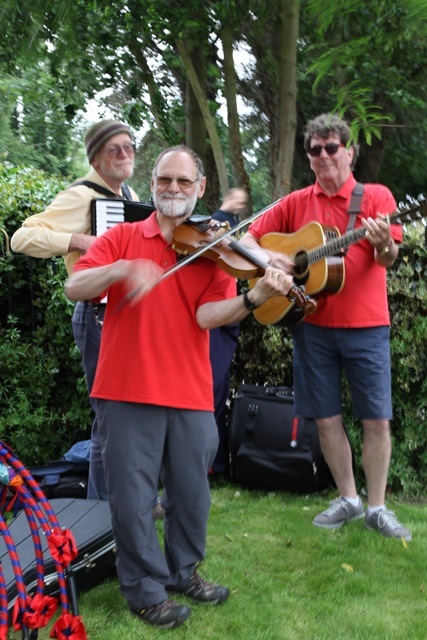 Many visitors commented on how friendly and buzzing the atmosphere was, and said they’d had a lovely day”. Sadie Chapman, whose business, Staffie Central UK, had a stall at TameFest said “We were really impressed by the day! As we are local to Tamworth, we are always looking to create new contacts within to community and TameFest was the perfect event to make that happen”. 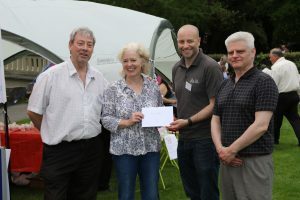 Philippa Truman, Membership Engagement Officer for Warwickshire Wildlife Trust said “Warwickshire Wildlife Trust had a great time at Tamefest, encouraging people to sign up for 30 Days Wild this June. Visitors loved getting stuck in to making fatball bird feeders and playing hook –a-native duck”. 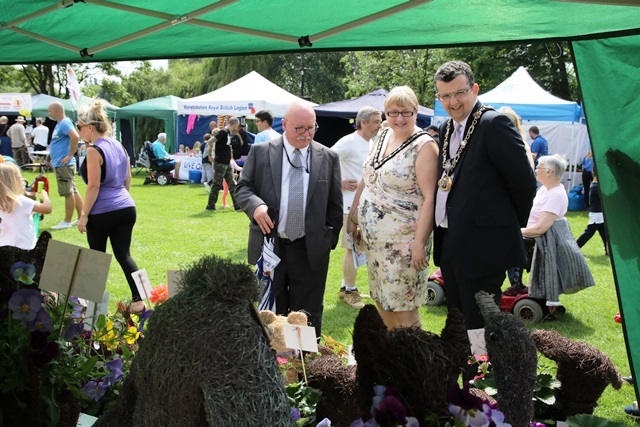 The Mayor of Tamworth, Councillor John Chesworth and his wife, Mayoress Tereasa Chesworth, also enjoyed the day. 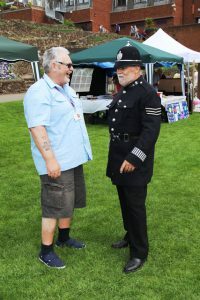 Both got involved in the activities, met stallholders and spoke to members of the public. 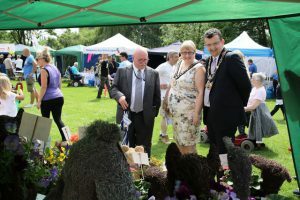 The Major of Tamworth said “TameFest was a fantastic free event which really showcased some of the good work that goes on in areas, such as our Local Nature Reserves. It was great to meet some really interesting people and learn about conservation in and around Tamworth. I know that the event have grown year by year, and I hope it is something that could return to the Castle Grounds next time around”. To see photos taken on the day, visit the Tame Valley Wetlands on Facebook. For more information on the Tame Valley Wetlands and the many other free events that are available, please explore www.tamevalleywetlands.co.uk. 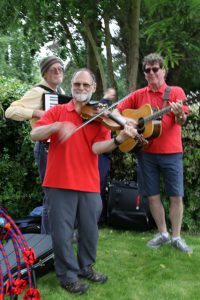 This entry was posted in Blog, Events, Latest News, Projects on 12th June 2017 by Ian Wykes.